Getting pregnant right now might be the last thing on your mind. Or maybe you’ve started to think about having a baby in the next couple years. Or maybe you’re ready! No matter where you are on your journey, it’s important to make nutrition and lifestyle choices to protect your future fertility. One in ten women in the United States have trouble getting or staying pregnant — and while some factors are beyond your control, research shows that you can improve your chances of getting pregnant in the future by making the right food, supplement, and lifestyle choices now. 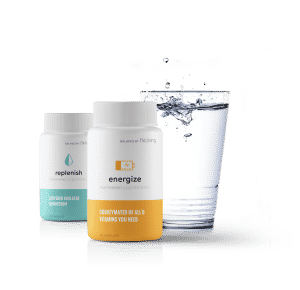 If you start researching today’s escalating infertility rates, you’ll learn that many doctors consider the causes “unknown.” But there are some real and modifiable lifestyle components to the fertility puzzle—components that are especially important to consider if you suffer from period problems like irregular periods, heavy bleeding, severe PMS, cramps, or hormonal acne. These symptoms are signs that your hormones are out of balance and that getting pregnant (whenever you’re ready) might be more difficult. Maybe you’re thinking Why wouldn’t I believe the doctors? If the causes are unknown and there is nothing I can do…. I understand how you feel. I was told I would never get pregnant naturally—or even with IVF— when I was 20 years old. My PCOS was that severe. But I got pregnant naturally at age 37, after only three tries at home. I know that if I hadn’t been eating, supplementing, and living in a hormone-supportive for the past 15 years, I wouldn’t have gotten pregnant so easily. Today I want to share some of the fertility-enhancing strategies I used to get pregnant naturally at an ‘advanced maternal age.’ My story can be your story. Here’s what you can do today and tomorrow to preserve your fertility for next month, next year, or in 10 years! Emphasize healthy, high-quality sources of fat. Monounsaturated and polyunsaturated fat—the kind of fat found in foods like avocados, nuts, seeds, and small, oily fish (like anchovies and sardines)—help reduce inflammation and stabilize blood sugar, two conditions that are important for fertility. And if you haven’t done so already, say no to all trans fats! These sneaky little devils drive up inflammation. Opt for complex carbs (but DON’T go no carb). High or mismanaged blood sugar has been associated in the scientific literature with ovulatory infertility. So fertility-focused eating should emphasize complex carbs that take time to be digested (which keeps blood sugar more stable). Think non-starchy vegetables, whole fruits, and beans. But don’t cut out carbs all together. Very low or no carb diets can make the body think that not enough food is available in the environment and trigger survival mode. When the body is in survival mode, it de-prioritizes non-essential functions, like getting pregnant. After all, how would you care for a child on the ancient savannah if there isn’t even enough food for yourself! Eat your iron. Getting enough iron in your diet, either through food or supplements, has been shown to enhance fertility. High-iron foods include beans, beets, pumpkin, spinach, and tomatoes. Skip the skim. If you’ve read the FLO blog before, you probably know that I don’t recommend dairy products when you’re trying to achieve hormonal harmony, but if you’re interested in protecting and enhancing your fertility, you should be especially wary of low-fat options, like skim milk. Studies have linked consumption of low-fat dairy with reduced fertility. If you tolerate dairy and you allow yourself a bit here and there, make sure it is of the full-fat variety. Skip the soda. Studies show that soda drinkers have reduced fecundity. Skip the coffee. 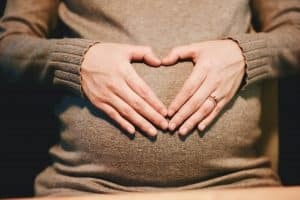 Whether or not caffeine and/or coffee inhibits your chance of getting pregnant (this is widely debated in the scientific community, with some research suggesting it does and other research suggesting it has no effect), research does show a link between coffee consumption and not being able to carry a child to full term. Don’t risk it! Vitamin D3. Vitamin D is critical for healthy endocrine function and, more specifically, it has been associated with improved success rates for women going through IVF. Optimal vitamin D levels might also help with PCOS and endometriosis, two conditions that can increase infertility. Fish oil. The omega 3 fatty acids in fish oil drive down inflammation and promote healthy hormone balance. Also, once pregnant, adequate consumption of fish oil is vitally important for normal fetal development. Probiotic. The importance of a healthy gut can’t be overstated, both for overall health and enhanced fertility. I greatly thank you! 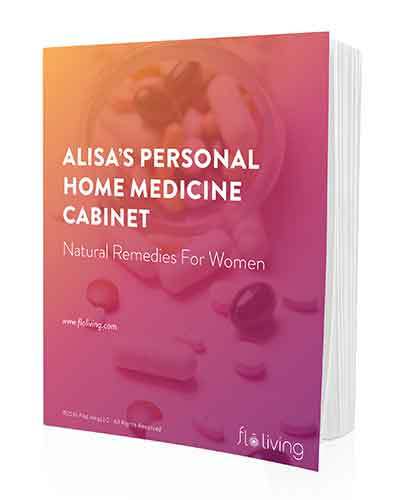 As a woman in her early thirties suffering from a basketball sized fibroid, I have been looking everywhere, desperately trying to balance hormones so that I can one day bear a child. The odds are against me, but people like you give me hope!